For the past few years my mission has been to replace the ingredients in my pantry and bubbling pots, with unprocessed ingredients & whole foods. I've discovered the wellness that comes with keeping ingredients as natural as possible. I've slowly seen myself turn into, a make it all yourself (from scratch), kinda girl! I've made milk from pretty much anything I could find: Oats, soya, white beans & rice. I have substituted cows milk with Water or natural juices; spelt for wheat; wild honey, raw cane sugar or maple syrup in place of the refined white stuff. There was even that time my husband and I decided to go vegan for a whole two months. Not easy - I'll assure you, so admire those that do. All this healthy eating isn't for everyone and I must confess to feeling a little guilty when we have our friends around and there's nothing but grains and 'brown' food to offer them in the pantry. However, because we love our friends dearly, we occasionally steer away and indulge them and ourselves!! After all, life is short. And we don't really like rules all that much! Or so I tell myself after a big indulgence. 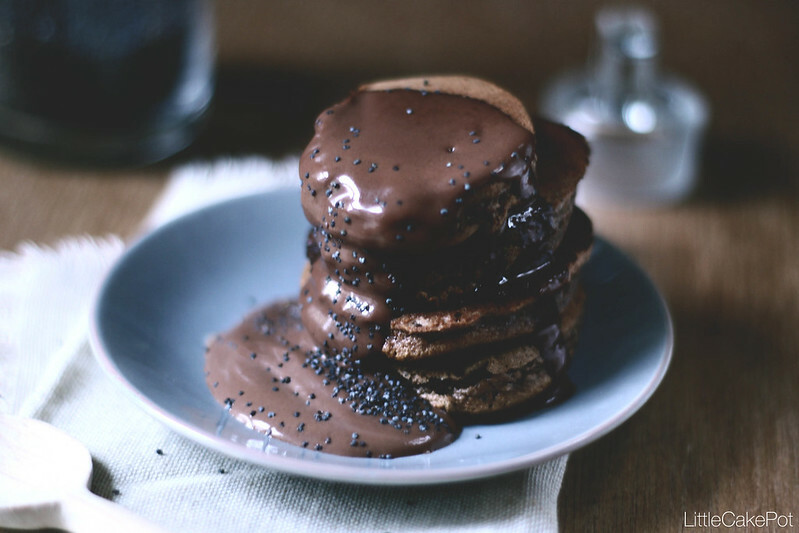 But these pancakes are both healthy and indulgent! Place a Skillet on gentle heat. Do not over heat! In a large bowl, whisk egg yolks and sugar. Slowly add boiling water until well blended. Sieve flour and cocoa into the bowl and gently incorporate. Add poppy seeds. Thinly spread olive oil onto skillet and remove excess with kitchen towel. Spoon dollops of pancake batter onto skillet. Flip pancakes as soon as you are able to lift the edge with a palette knife. Allow to cook gently. 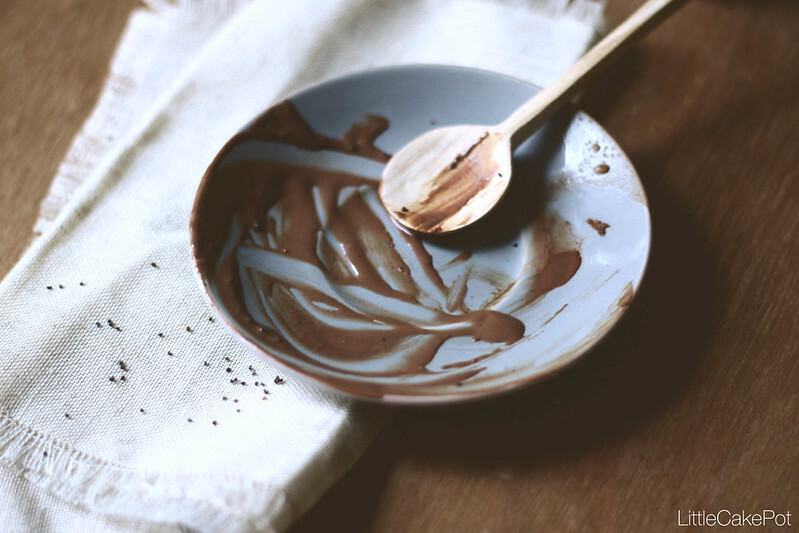 Serve with chocolate sauce if you've been good lately!! 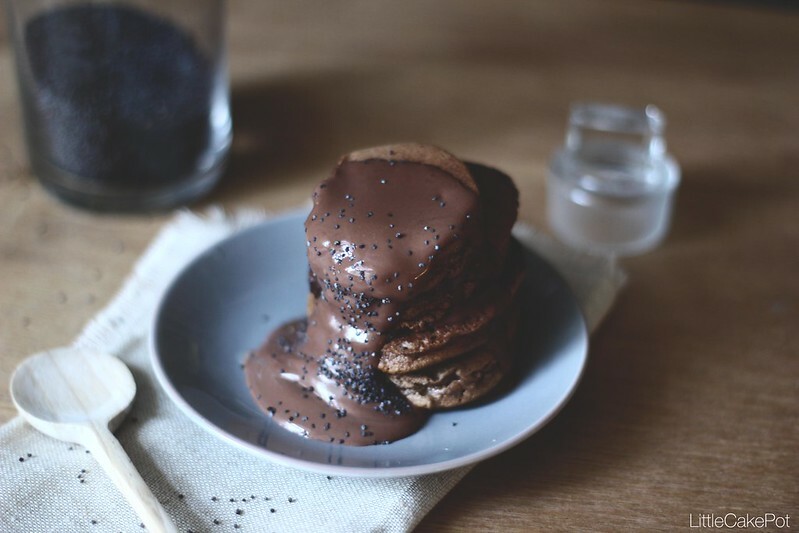 these pancakes look so delicious despite their healthy label! Thanks Nazima! I use a normal hand blender and a cheese cloth to filter off the grainy stuff. But, blend raw grains and just bring the milk to a simmer once it's all strained. A vitamix would do an even better job! !